Centre: AP PGECET 2019 is conducted in 12 major cities in the state of Andhra Pradesh and Telangana. Note: Andhra University reserves right to cancel any Test Location at any point of time if the test Location is canceled the candidates will automatically be moved to nearby locations or to a location in Andhra Pradesh or Telangana. In which college will the AP PGECET 2017 exam be conducted in Guntur? 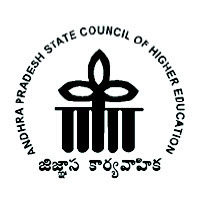 The AP PGECET exam will be conducted in the College of Engineering, Acharya Nagarjuna University, Guntur.